Poker is a game in which there is nothing better than a good comeback. One popular comeback phrase is “a chip and a chair,” but despite its popularity, few people actually know where this phrase comes from. We have Richard Strauss to thank for it. When he was at the 1982 WSOP championship, he was asked how many chips he had left. He counted them, made a bet, called it, and lost. Then, when leaving the table, the dealer takes note of a chip hiding underneath his napkin. Since no one actually ever said “All in,” he is able to sit down with his one chip and keep on playing and to eventually go on to win the championship. Don’t forget about the legendary Phil Hellmuth either. He actually missed the second day of the WSOP main event and had 40% of his stack blinded away due to doing charitable work instead. At least, that is Hellmuth’s version of the story. If you ask anyone else, they will tell you that this player mixed up his schedule and napped right through the event, having to eventually be woken up by security to get to the tournament startlingly late. Despite his tardiness, Hellmuth did mange to do quite well for himself in the end. There’s also Stu Ungar who came back to the WSOP in 1997. He hadn’t won a bracelet for fourteen years at this point, but somehow he made it happen this time and brought home a million dollars. No doubt, after reading these stories, you feel inspired to make some comebacks of your own at the poker table. 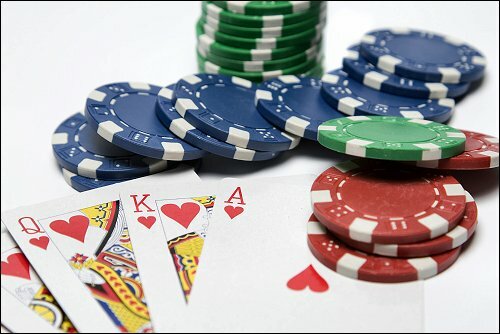 Since it is unlikely that most people will be placed in these rather rare situations, we’ve come up with a few verbal comebacks that might just be of use to you when dealing with a smart mouth player or even an overly talkative dealer. Or, how about one of those situations where you just can’t seem to play fast enough to please the other player? If he or she is complaining about your slowness and the fact that you’re hurting his or her hourly win rate, answer back with, “I’ll buy you a pack of chewing gum later. That will even us up.” Don’t be afraid to make up your own great comebacks either.